Yoo Inna (유인나) is so pretty. She has been in my top 3 female celebrities rank for awhile. #1 is Taeyeon (태연). The other favorite is IU (not sure who ranks higher between IU & Yoo Inna). Kim Go Eun (김고은) is fast becoming one of my favorite actresses. She isn’t the prettiest actress, but I find her cute and charming. 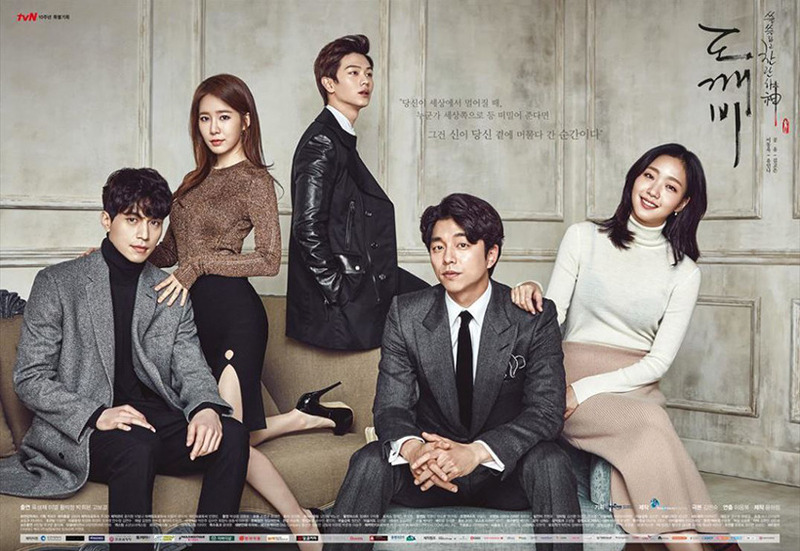 I never really watched Lee Dong Wook (이동욱) act before… but he was the best character in Goblin. I loved how he took things too literally from Sunny. He was the funniest character and I was more interested in the Grim Reaper + Sunny relationship than the Ddokkebi + Ji Eun Tak couple. Yoo Inna’s character – Sunny – was also hilarious and cool. Especially at the beginning. Towards the end, I don’t quite understand why she left the Grim Reaper – but I think she knew it wasn’t going to end well. Was never a fan of Gong Yoo (공유). Not sure why… I liked Lee Dong Wook more in this drama. In Coffee Prince, I liked Lee Sun Kyun (my favorite actor by the way) and in Train to Busan, I liked Ma Dong Seok more. Secretary Kim was an awesome guy. I was worried that he would be a bad person at first (because of 38 Task Force) – but he turned out to be an awesome dude. Yoo Duk Hwa was also a very cool character. Very different from Chaebols from other kdramas. Have I mentioned… Yoo Inna is so pretty… 너무 예뻐요 누나! The bromance was awesome between the Ddokkei & the Grim Reaper. Loved how a 300+ year old and a 900+ year old were so petty with each other. They really cared for each other – despite the snag when the two found out who the Grim Reaper was from the past. This show got me very emotional, especially towards the end. So much sadness. The Goblin having to live 900+ years sounds so lonely, but to have witnessed all the deaths of those close to him for all those years… ouch. Not only did he live for 900+ years, but the fact that he was seeking death before meeting Ji Eun Tak is a sad fate. Having failed to get revenge for his sister 900+ years ago must have been very frustrating for the Goblin. Unfortunately, life ends with many regrets for most of us. When he lost Ji Eun Tak – that was a tragedy. What if that was her final reincarnation?! Then they would’ve never met again, probably. The Grim Reaper’s story was also painful, sad, and lonely. The fact that he had so much regret/sorrow when it wasn’t even his current self who killed Kim Shin and Kim Sun. His love for Sunny; so sad – especially at the end when Sunny dies. Sigh… The way the Grim Reaper asks for forgiveness of the female reaper – I felt madd respect. The way things ended up for the Goblin + Ji Eun Tak and the Grim Reaper + Sunny was heartbreaking to me. I know things ended up “well” in the end, but still… it just didn’t feel right to me. This drama series really made me think on Ji Eun Tak’s quote, “Even if I were to die tomorrow, I must live today.” Life life to the fullest. You never know when your end will come. I need to do a better job of living life to the fullest. I’m not getting any younger.